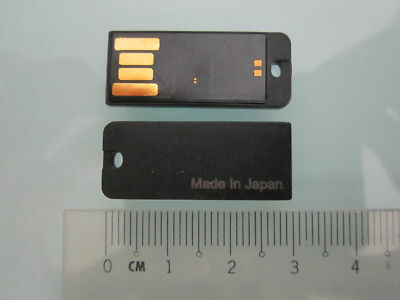 One of the most popular fake capacity usb flash drives on eBay is known as the “Smallest Pen Memory Flash Drive”. It has been sold in advertised capacities ranging from 16 GB to 256GB. It is usually listed by eBay sellers registered in Singapore. According to SOSFakeFlash and FakeMemorySentinel, as soon as eBay suspends an id that lists this flash drive, a new seller id appears and offers exactly the same item. The only thing that might change is the listed capacity. It could be 16GB, 32GB, 64GB, 128GB or even 256GB. The real size seem mostly to be below 4GB. The price frauded buyers pay can be modest or high. Generally the price paid reflects the size it was advertised to be. A lot of people are not aware about the counterfeit rings in Singapore, so they continue to bid and buy. At one time an id there could make a lot of money before getting caught. The sales volume for an id is a lot less these days. To fight back the counterfeit rings are unleashing new ids almost every day, they are determined to stay on eBay. ← Fake Kingston DataTraveler R500 128GB GB GO USB 2.0 Flash Drive For Sale On eBay! Fraud Warning DTR500/128GB. Another Counterfeit Kingston DataTraveler Storm On eBay? Dear Friends, I am also victim of fake flash drive. I have purchase two jetflash 32GB and 16 GB pen drive. But When i am trying to copy the data, it won’t. I have used H2testw software and verify the capacity, surprising its a 31940 MB in both pen drive. 32 GB pen drive has Green belt and 16 GB has Blue.